1Not available with special financing, lease and some other offers. See dealer for details. 2Not available with special financing, lease and some other offers. See dealer for details. 319-40CAO. Conquest % Cash Back. Stackable % Cash Back for customers who have owned or leased a 2005 or newer Non-GM Vehicle for a minimum of 30 days. Allowance Available on Retail Program Info. Compatible with % Off and % Conquest Private Offer ONLY. 4Excludes base models. Monthly payment is $16.67 for every $1,000 you finance. Example down payment: 19.9%. Must finance with GM Financial. Some customers may not qualify. Not available with lease and some other offers. Take new retail delivery by 4/30/2019. See dealer for details. 1Not available with special finance or lease offers. Take delivery by 04-30-2019. 219-40CAO. Conquest % Cash Back. Stackable % Cash Back for customers who have owned or leased a 2005 or newer Non-GM Vehicle for a minimum of 30 days. Allowance Available on Retail Program Info. Compatible with % Off and % Conquest Private Offer ONLY. 3Excludes base models. Monthly payment is $16.67 for every $1,000 you finance. Example down payment: 19.9%. Must finance with GM Financial. Some customers may not qualify. Not available with lease and some other offers. Take new retail delivery by 4/30/2019. See dealer for details. 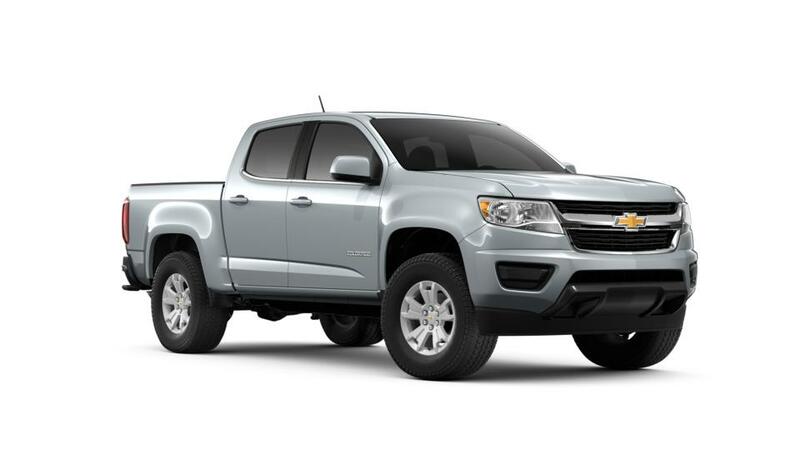 Why do so many shoppers choose the Chevrolet Colorado in south Texas? Search our inventory of Chevy Colorados in Edinburg to find the color and options you're looking for. Or to test drive a Colorado, call us at 956-287-3654. If you've been looking for a new Chevrolet Colorado vehicle near McAllen or Weslaco, then be sure to visit our Edinburg dealership. We have a large selection of new and used Chevrolet vehicles, so we'll always have a car, truck or SUV that's right for you. You can count on our friendly sales associates to help answer any questions and guide you through the car-shopping process. We also have a team of experienced auto finance specialists on-site to help you secure an auto loan at the best interest rate for your individual credit history. Schedule a test drive today!